Lyme disease and our pets: Part 2 – How it’s diagnosed, how it’s treated, and how to prevent it. Lyme disease is a perplexing condition as it can present in so many different ways. If a tick is found on your dog, it is important that it is removed correctly (stay tuned for Part 3 – Proper tick removal). The site at which the tick was attached is also important. Your veterinarian will examine the area to make sure the entire tick is removed, and depending on the site, may apply a topical medication to help with the healing and prevent infection. It will also be important to scan the rest of the dog for the possibility of multiple ticks. The tick may be sent off for further analysis to determine if the tick is carrying Lyme disease. This process could take several weeks. Four weeks following the bite, your veterinarian will perform a blood test to check for Lyme organisms, as it may take weeks or months for Lyme disease to develop. Not every dog that is bitten by a Lyme infested tick will acquire Lyme organism. The most important factor in determining if your dog will become infected with from a Lyme infested tick is the amount of time the tick is attached to your dog. The longer the tick is attached, the greater the chance your dog will acquire the Lyme organism. If your dog did acquire the Lyme organism he/she may develop Lyme disease over the next 4 weeks to several months. 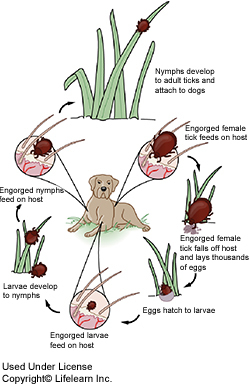 Not all dogs that are carrying the Lyme organism will actually become ill (Lyme disease). Ticks in Durham region may also carry other organisms, such as Ehrlichia canis and Anaplasma phagoctophilum (red blood cell parasites). 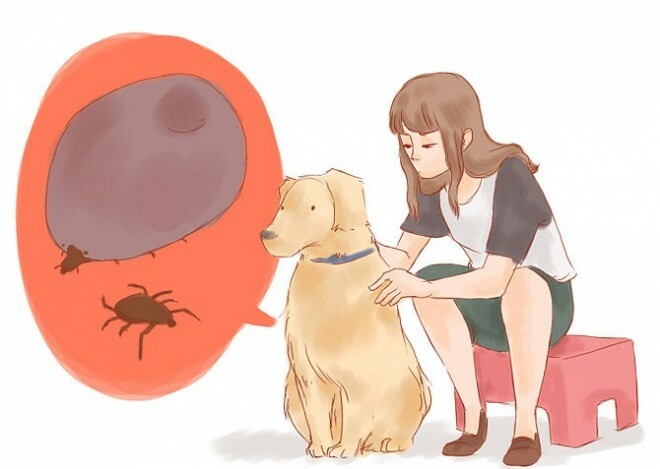 If your dog is diagnosed with Lyme disease, your veterinarian will start by putting your dog on a cycle of antibiotics, typically for 4 weeks in duration. If your dog is experiencing joint pain, an anti-inflammatory medication may be prescribed as well. Dogs typically improve when the treatment plan is followed; however it is believed that Lyme disease is never fully eradicated from the dog’s body. Instead, the disease goes into remission, but continues to lurk in the body in an inactive form. The easiest way to prevent Lyme disease is to properly protect your dog against ticks. This includes products prescribed and purchased by your veterinarian to kill and repel ticks, as well as minimizing the contact your dog has with ticks. Of course many of us enjoy hiking, walking and taking our dogs to our cottages and camping, so we are bound to find ourselves in environments where ticks live. This is why it is so important to prevent and protect our dogs from tick infestation. Please call our clinic today and speak with our staff, or book an appointment to learn more about the products we recommend for tick and Lyme disease prevention and how to properly protect your dog! © 2019 Animal Clinic of Brooklin | Brooklin Veterinarians.